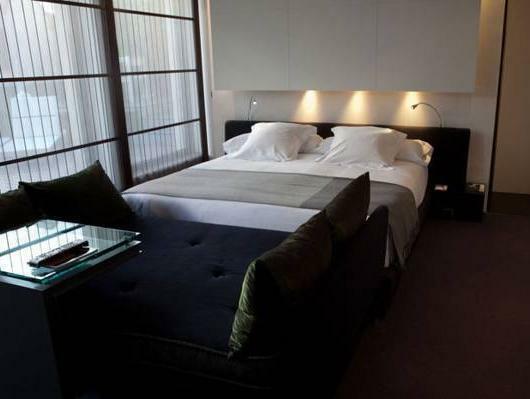 ﻿ Sixtytwo Hotel Barcelona. JIMAT di Agoda.com! Ada soalan mengenai Sixtytwo Hotel? Menawarkan penginapan yang berkualiti tinggi di daerah siar-siar, restoran, beli-belah di Barcelona, Sixtytwo Hotel merupakan pilihan popular untuk kedua-dua tujuan perniagaan dan percutian. Dengan lokasi hanya 1 km dari pusat bandar dan 15 km dari lapangan terbang, hotel 4-bintang ini menarik banyak pelancong pada setiap tahun. Tidak kurang hebat adalah akses mudah hotel untuk ke pelbagai daya tarikan dan mercu tanda bandar, seperti Casa Marfa, Muzium Egipci, Fundación Francisco Godia. Kemudahan dan perkhidmatan yang disediakan oleh Sixtytwo Hotel memastikan penginapan yang menyenangkan bagi para tetamu. Hotel ini menyediakan akses kepada pelbagai perkhidmatan yang luas, termasuklah Wi-Fi percuma semua bilik, meja depan 24 jam, fasiliti tetamu kurang upaya, daftar masuk/daftar keluar ekspres, simpanan bagasi. Semua bilik tetamu menawarkan pelbagai jenis tahap keselesaan. Banyak bilik turut menyediakan karpet, selipar, ruang tamu asing, televisyen skrin rata, cermin untuk memuaskan hati tetamu. Hotel ini menawarkan pelbagai kemudahan rekreasi yang sangat baik, termasuk rumah urut. Dengan lokasi yang ideal dan kemudahan sepadan, Sixtytwo Hotel sangat memuaskan hati. Stayed at the junior suite. Beautiful terrace, quite clean but toilet paper wrapper left behind garbage can when we checked in, bathrobes were removed after the first day and not replaced, and the room was cleaned even thought we put up the "do not disturb" sign. Room was quiet, beds very soft. Breakfast staff amazingly friendly, professional and efficient. My husband and I went to BCN as one of our honeymoon destinations. After knowing about this, the staff spontaneously upgraded our room. He provided us with free 4G WIFI egg during our 5-day in BCN. Although we did do some plannings before, we still got lose sometimes. It is with the wifi egg that saved us. The most touching moment is while the staff told us, "we just want you two to be happy here' when we said thank you to the staff. Oh my god, the staff there are all nice and helpful. They always try their best to provide assistant and suggestions (e.g. suggesting ways to put our mobile phones to avoid pick-pockets). Without them, our honeymoon would be ruined in some ways. For the hotel room and facilities, they are all good. It is very safe and comfort to stay. For the location, it is super convenient that it is close to Casa Balto and Casa Mila. It is also close to all transportation means going to Catalunya Square, Rambla, airport, Park Guell. We would recommend this hotel without hesitation. Go Go Go!!!! 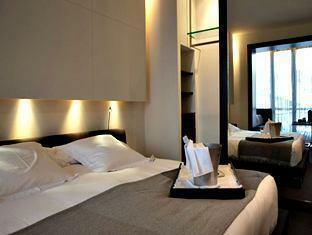 Sixtytwo Hotel is a small boutique hotel which is located along Passeig de Gracia. excellent location for shopping, has lots of restaurants around the area. Casa Battlo is almost in front of the hotel. La Pedrera is also within walking distance. Metro is also nearby, the sightseeing bus stops nearby as well. From airport to hotel, taxi costs 26 euros. Room is very nice. Hotel offers free champagne every 6-630pm and has free coffee/tea from 11am-1am daily. The staff is very helpful. The only downside is wifi. They have bad wifi signal in the room. Other than that, the hotel was lovely. Stayed for 3 nights with my wife for our honeymoon. Staff at the check-in counter was extremely nice and helpful, and upgraded us to a better room. Balcony of our room overlooked Passeig de Gracia, and we could see Case Battlo very clearly at night! Left us a happy honeymoon message on the bedroom mirror which was very sweet as well! Overall the hotel was amazing, the only nitpick is that breakfast is not included. However the hotel does provide free apples in the lobby as well as free coffee, water, and snacks on the first floor. 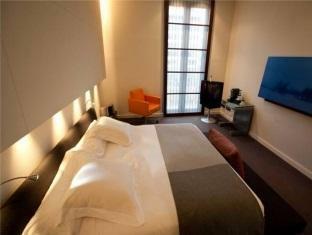 The hotel location is superb, walking distance to Las Ramblas, most of the Guadi buildings and Gothic area. Only 1 metro stop away from the Barcelona Sants train station. Close to many great tapas restaurants as well! Would definitely stay here again! 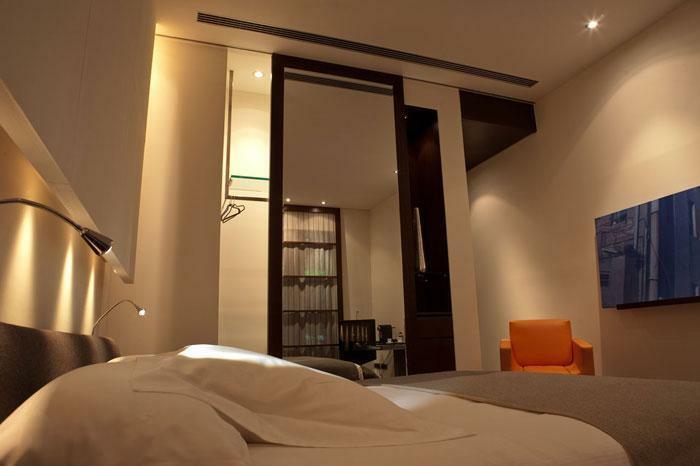 We stayed at the Sixtytwo hotel for one week recently and we felt it was a really good price for a great location. 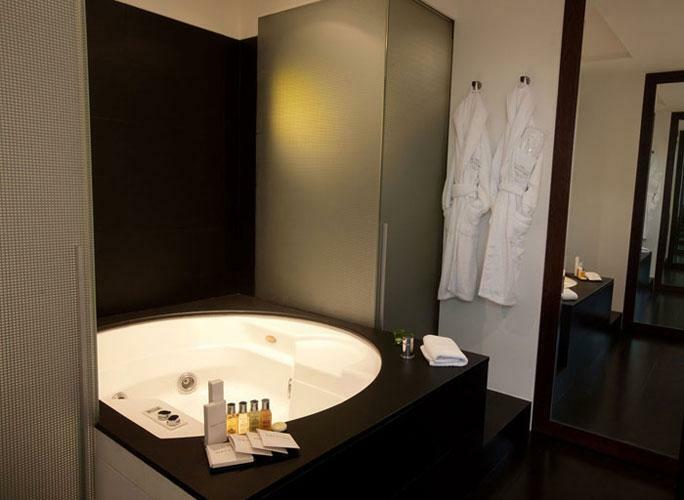 Situated between the Majestic and Mandarin Oriental hotels along the main shopping strip, it was half the price. The hotel is small and quaint and the rooms are simple and clean. The rooms are of a decent size and it has most of the amenities that a holiday traveller would need. Only wished they would provide more free bottled water but can't complain given the price. They also provide free Wi-Fi but the connection was not the strongest most of the time. The hotel has a restaurant/lounge on the first floor but no other facilities. For holiday goers and people who like shopping, the location is fantastic. Located mid way along the Passeig de Gracia, all the shopping you could need is within walking distance. Cafes and restaurants dotted along the streets and getting around from the hotel by taxi is convenient as there is always a row of cabs waiting outside the hotel. Overall a decent hotel with a great price in a fantastic location. Our stay was really wonderful, with the comfortable rooms and great hotel concierge service! Only problem was the wifi which was down on a few days, or otherwise had poor signal strength. Nevertheless, I would strongly recommend this hotel for its great location, near shopping areas, and walking distance from various tourist attractions. A very nicely designed hotel. Clean, chic, easy access, very convenient location with shops, cafes, restaurants, metro nearby, within walking distance to some of Gaudi's "must visit" architecture. Staff are very friendly and helpful. Wifi access within the hotel. Rooms with bathtub, pretty spacious. Nice view from balcony. Breakfast is good too. Highly recommend. have just returned from 2 nights at this hotel. small reception area. they have wifi and biz center. bus stop is about 5 min walk from the hotel. taxi is so many good location to eat and casa batllo. the room is clean and lovely large. you can watch passeig de gracia from your room. My husband and I were pleasantly surprised to have gotten an upgrade room from 62 hotel to 64 Apartment, which a huge 2 bedrooms apartment (ideal for family) with 2 bathrooms, living room and kitchen with provided utensils, stove, microwave, dishwasher and dryer. (They provide all we need). All were clean and spacious. However, I didn't see any hairdryer in the bathroom. The staff were kind and helpful. Overall, fthis hotel was great, nice and perfect. Thanks for the upgrade. Trendy, clean hotel in a great location. The hotel was clean, staff was friendly and helpful. Close to train with many lines to get you anywhere in the city. The only con would be the noisy housekeepers in the hallway in the morning. 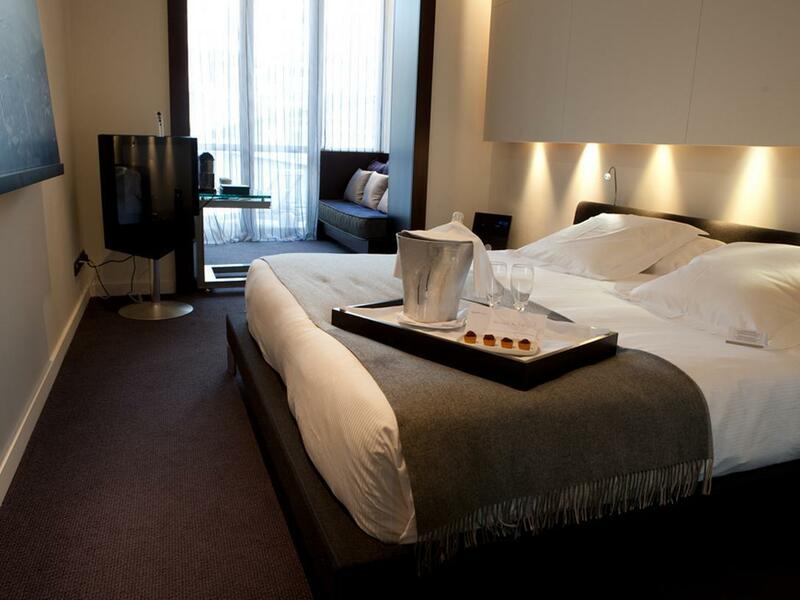 Sixtytwo Hotel is situated in the city centre and you can reach the famous tourist attractions easily. But that doesn't mean you have to compromise and we don't feel disturbed from the noise on the street. Perfect location, amazing staff, fantastic decor, all at a super reasonable price. Loved it and will definitely stay there on next trip to Barcelona. Was recommended by family member and did not get disappointed. This is a very well located hotel within walking distance of many of the sights, and easy to catch a bus to those further a field. The staff couldn't have been more helpful with our requests and were all very friendly Our room was a junior suite which was "junior" in size but perfectly comfortable and clean with a cute shared terrace. The lounge with tea and coffee all day and Cava at 6pm was a very nice touch and a welcome sit down and relax after a long day out in the city. The only negative point we have about this hotel was the walls were extremely thin and we could hear conversations, bathroom noises, general movement about the room and the TV from either side of our room. In this instance ear plugs were a must. I stayed 3 nights and had already a big surprise when I found a little cake as welcome gift in my room. My room had also a coffee machine and drinking water for free. Rooms a small and dark, but nicely decorated like the whole hotel. Staff always very friendly and helpful. They helped me a lot with a big problem I had having checked out already. 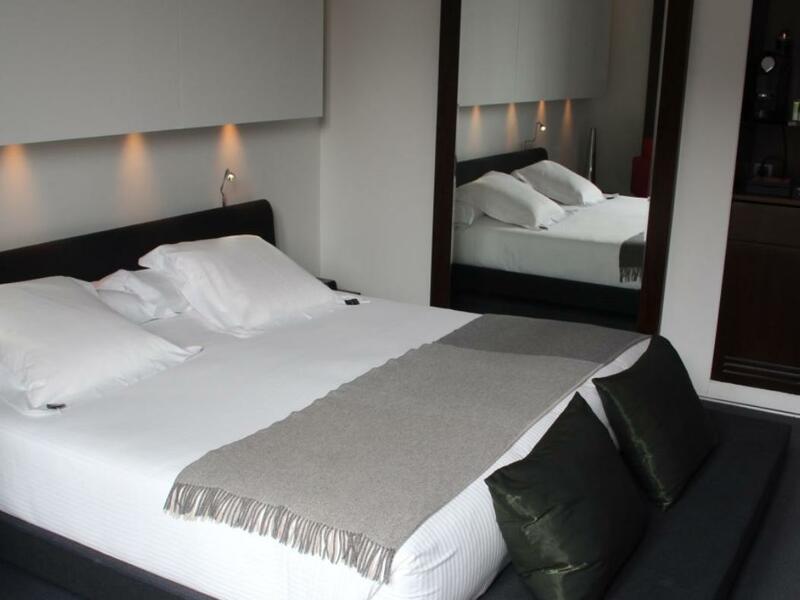 Hotel is located in the centre and you have a lot of Tapas bars very close, a lot of shopping possibilities as well as metro station and taxis in front of the hotel. Easy to get to from the airport, staff can not help its guests another, you cannot ask them the wrong thing and lastly a great breakfast. This was our second stay at this hotel , everything about this hotel is so relaxing . Nice small reception so it makes booking in quick and easy , all rooms are nice and clean with loads of room to move around in , large well stocked bathroom . 18.00hours every evening guests are entitled to a glass of cava. The position of this hotel is on the main road but once in the hotel you would never know how busy the street out side are . The location was great, just right next to the metro. The balcony allowed us to oversee the pedestrian street, while the terrace we had for one night (upgraded to junior suite) were fabulous. We had a great stay as a couple for our mini-moon. The room had a balcony (or terrace depending on what you paid for) which was superb for an evening drink. The hotel offers free cava drink, a great way to start the evening! Had a great time at this hotel, easy to get to from the airport just 4 stops on the R2 train. Then meet friendly staff who could not do enough for us . Very clean rooms . Excellent breakfast , as my wife is wheat and gluten free the kitchen staff made fresh rolls and cakes for her. In the evenings at 6 to 6.30 they served a glass of cava . All in all fantastic stay. The hotel was located right at the heart of the branded shopping retails. The hotel staffs are friendly and are able to communicate well in English. They also very helpful and resourceful when it comes to navigating and recommending places for site-seeing, how to get there and booking of local tour services. The room was great, well maintain with everything equipped. We stayed 2 nights in this hotel and we really enjoyed it. The location is perfect in the area of l'Eixample with plenty of restaurants and shops around. With the hop on/hop off bus stop nearby and a train station it is easy to travel to other parts of Barcelona and many attractions are at walking distance. The hotel is small and nicely decorated and quite new. The rooms are spacious (including the bathroom) with good beds and all amenities were there. The only thing we missed was a water heater as the coffee machine was not able to boil the water to the right temperature for tea. Free wifi with good speed throughout the hotel and staff was very friendly and helpful. There is a great lounge that you can use for a drink or a break or to reorganize your luggage (in our case) if you have an early arrival or late departure. Whenever I will return to Barcelona I will straight away book this same hotel; highly recommended!